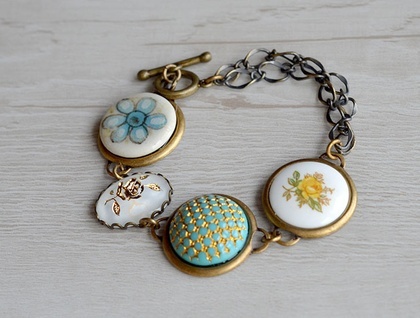 A beautiful one of a kind bezel linked bracelet is made from an assemblage of vintage cabochons that I have collected and assembled together. 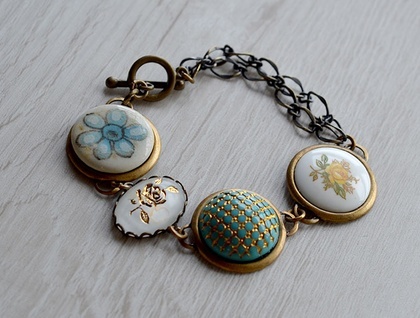 This bracelet is made up of various sizes, starting with a 20mm vintage yellow rose cabochon, a 20mm unique textured aqua and gold cabochon, a 13 x 18mm etched gold rose cabochon and ends with another 20mm porcelain floral cabochon. 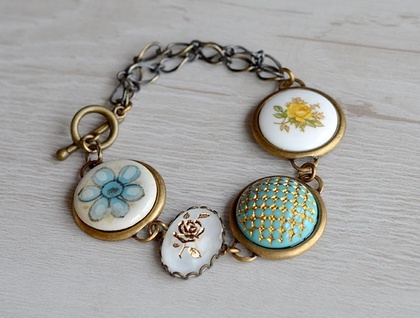 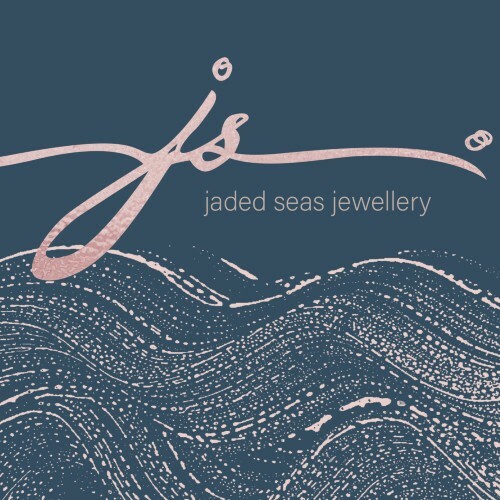 They are set into quality brass bases and has a double strand of chain to add some length. 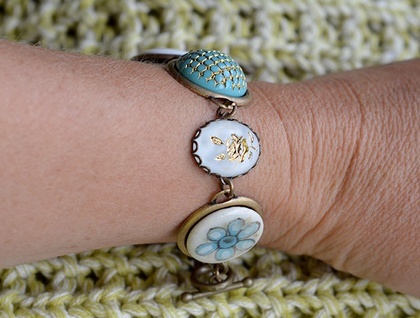 This bracelet is currently 18cm but I can customize to any preferred length.